The Britain’s nuclear power will now play a vital role in helping the UK environment to have a reliable, suitable, and low carbon energy supplies in the future. 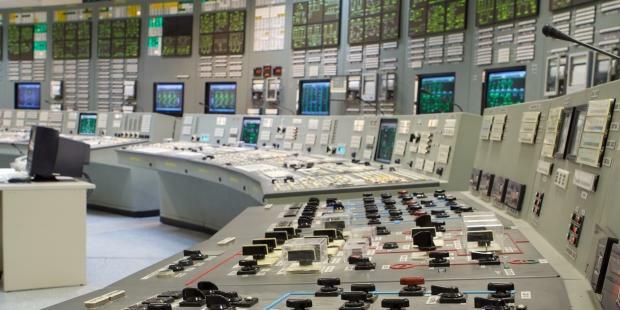 With the help of various technologies like embedded panel PC system, you can always guarantee that there is efficient productivity and improved performance in the field of nuclear energy. For the past decades, UK’s electricity supply is provided by 15 nuclear power reactors. But as the older nuclear plants are retired in 2025, new ones should replace them along with these innovative technology. So, how can a computing system support the nuclear industry? Let’s take a look. Energy companies in the UK plan to build up new nuclear powers to accommodate the demands of the increasing and modernising power-dependent industries. But, as we all know how quite risky and hazardous the nuclear energy is. By installing 12.1” touch panel PCs in the nuclear operations, you can easily monitor, login, and control the entire operating system. It also comes with a built-in Watchdog timer which has the capability to perform such functions over a wide range of temperature. What else can this panel device do? Well, here are some of the special features of it. With the current state and condition of operations in a nuclear power plant, a commercial-grade computer cannot endure its harsh environment. But, with embedded computers, you can ensure that operations will increase its overall performance and efficient productivity as well. To fully operate a nuclear power plant, the most important fuel to be mined is the uranium. This mineral is one of the least plentiful chemical element in the world. It can be found beneath the seawater and other geological formations. By installing a specific software in a 12.1” panel computer, for instance, you can gather, collect and analyse useful data such as where to find the large deposits of uranium. Powered by the most reliable processor, Intel Bay Trail M/D, you can store vital information which you can use during the mining and processing of nuclear fuels. A nuclear reactor is controlled by a centralised computing system to determine, distribute and transmit adequate power supply to various consumers. Since the control system is integrated with embedded panel computing technology, you can identify how much power supply should be stored and generated for consumption. Aside from that, a nuclear power plant is also prone from harmful chemicals that causes wear and tear on certain equipment. But, a 12.1” industrial grade PC is built with a stainless steel finish which is ideal for tough applications like in the nuclear reactor plants. Embrace Technology And Decide Now! Building a nuclear power plant is also a challenging responsibility. Aside from putting up a huge investment and abiding legal requirements, you need to consider a lot of factors such as promoting clean air and environment-friendly and sustainable energy. So, why not consider investing on touch panel technologies to help you meet these goals? Keep in mind that the future of UK’s nuclear industry is in boom. Who knows it could be you who can change the future. Hence, contact a panel PC supplier and start honing your success.